Now is your chance to live in sought-after Willow Creek! Overlooking the greenbelt, this move-in ready home features 3 bedrooms, 3 full, updated baths, main-floor study that can double as a 4th, conforming bedroom, and a comfortable, fenced backyard with enchanting, covered patio. Perfect for entertaining, the updated kitchen showcases solid granite countertops, custom sideboard, extra-large pantry, adjacent dining room. Vaulted ceilings, fireplace, abundant windows, natural light, plantation shutters, and hardwood floors throughout the first floor create an inviting atmosphere, plus, enjoy the spacious family room, main-floor laundry, partially finished basement with additional living space and storage. The oversized, detached 2-car garage provides additional backyard privacy. This desirable community boasts landscaped grounds, outdoor pools, renovated clubhouse, tennis courts, open space, abundant walking trails. 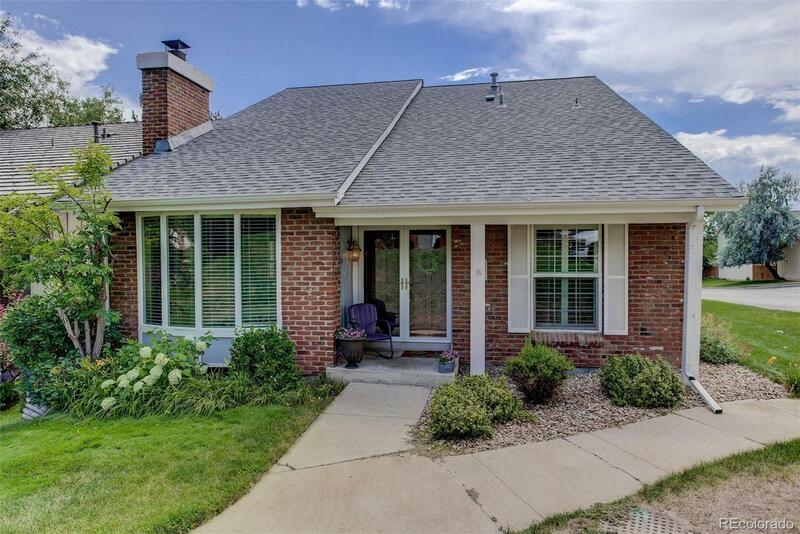 Close to I-25, 470, shops and restaurants. Cherry Creek schools!